In this concert titled Alike/Unlike 2, the Chai Found Music Workshop brought together traditional and western instruments, engaging them into a dialogue between eastern traditional music and modern western music. 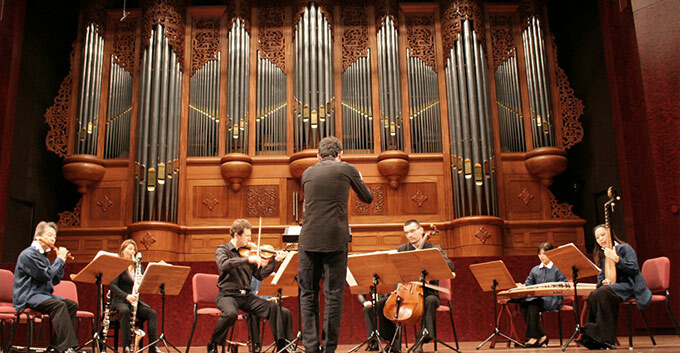 For this performance, they invited the French modern music group, Ensemble 2e2m. Ensemble 2e2m performs in an avant-garde style. They deliver humanistic messages through their music to communicate with the world, and present contemporary new compositions. 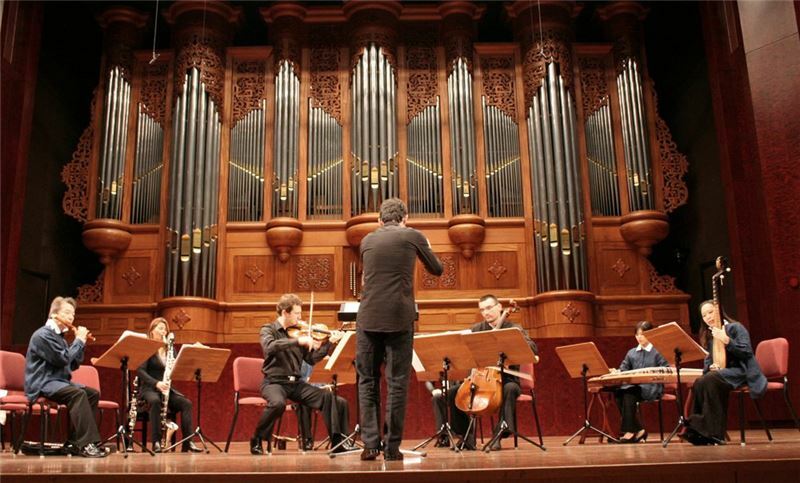 In this concert, Chai Found commissioned five composers to create new works that would feature both Chinese and western instruments. These composers are Bernard Cavanna (France), Laurent Martin (France), Pan Huang-long (Taiwan), Chen Xiao-yong (Germany) and Xu Yi (Hong Kong). The composers created music of very different styles, each according to the musical character of individual instruments. The compilation and expression are all refreshingly new. The music of Taiwan 2e2m, though mostly traditional music, is integrated with many new elements, such as the color of eastern instruments. They bring a refreshing experience of Taiwan/France communication. The musical arrangement for this performance includes the clarinet, accordion, violin, cello, pipa, erhu, guzheng, and flute.